Better late than never, right? This is not a sponsored post. I’m joining Cynthia, Courtney, and Mar for this last week’s Friday Five Link Up! The theme: Brands We Love! Without further ado, here are my current favorite brands. I love Honey Stinger Waffles! The Chocolate and the Gingersnap are part of my go to pre-race fuel. The kiddos love the waffles, too. 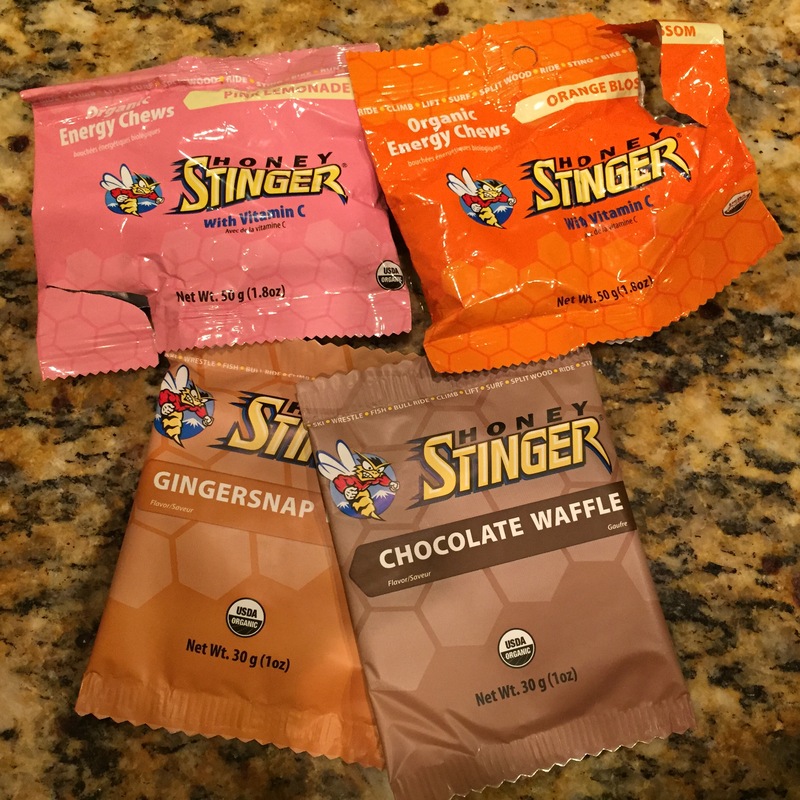 I also use the the Honey Stinger Chews on my longer runs for that additional boost! The Orange Blossom and Pink Lemonade are my favorites. I loved the products so much that I applied to be an ambassador. I was selected to be a part of the Honey Stinger Hive a few months ago, and with my ambassadorship, I get a nice discount. Any little bit helps! Go #HSHive! The chews aren’t too sweet and the waffles give me enough energy without feeling too heavy. 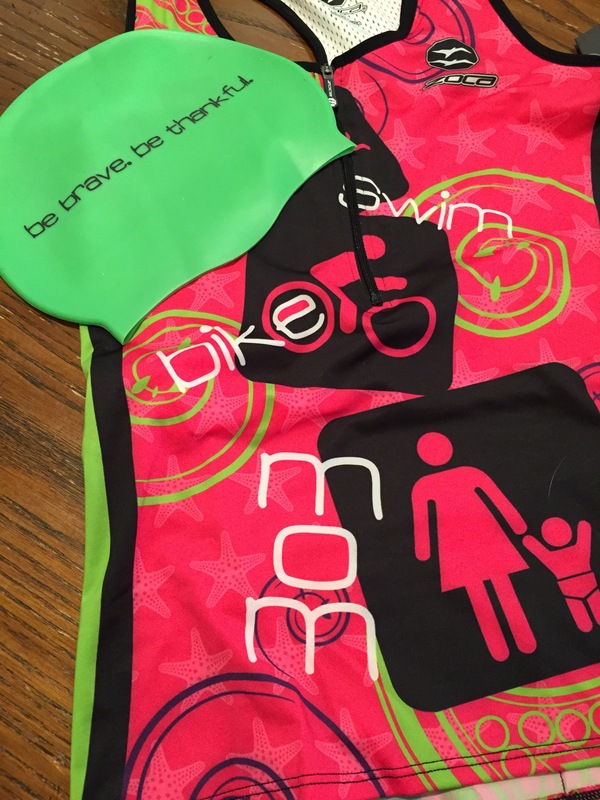 If you haven’t already noticed, I’m a big fan of Meredith Atwood (SwimBikeMom). She wrote Triathlon for the Every Woman, which was given to me as a Christmas Present in 2013 (Best gift ever — thank you for steering me down this path S!). 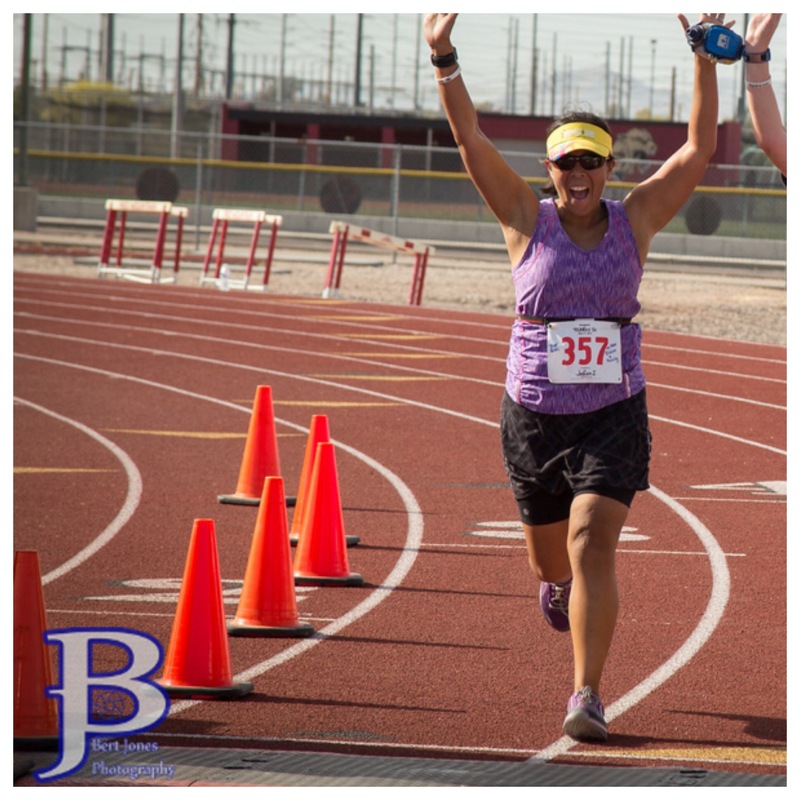 While reading it, I felt like I was having a conversation with an old friend and she convinced me that I could Tri, too! 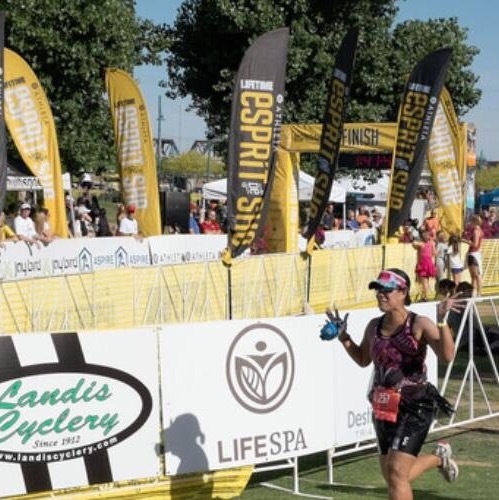 There’s an amazing FB group Swim Bike Mom Trifecta: Family, Life & Triathlon and from that group I’ve met real life friends (Hi Esther and Tori!). 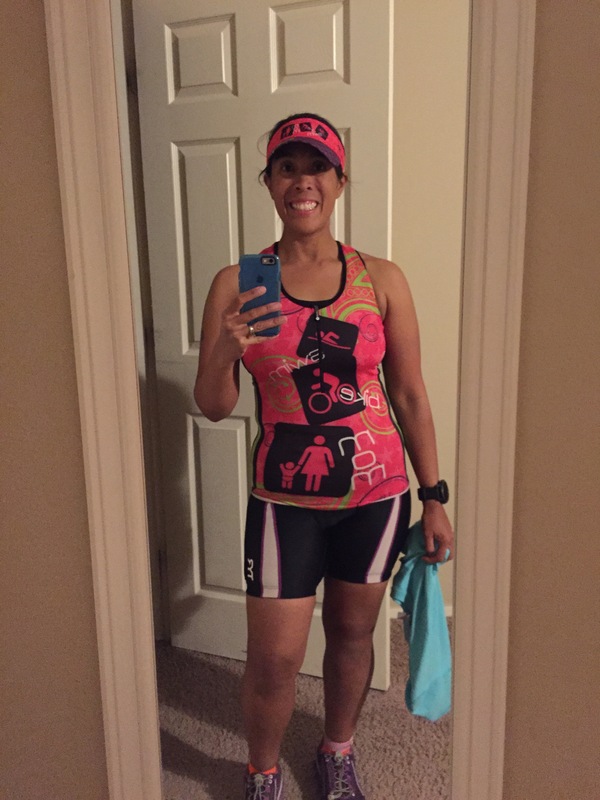 I love SBM’s approach to encouraging everyone to Tri and I love the SBM gear. Last year, I sported the visor and this year I moved up to the Tri Top, Visor and swim cap. It’s all comfortable and according to the hubby: beautifully loud. Meredith’s mantra of #JustKeepMovingForward resonates with me and I truly appreciate what she and the SBM army are doing for Tri. OMG! 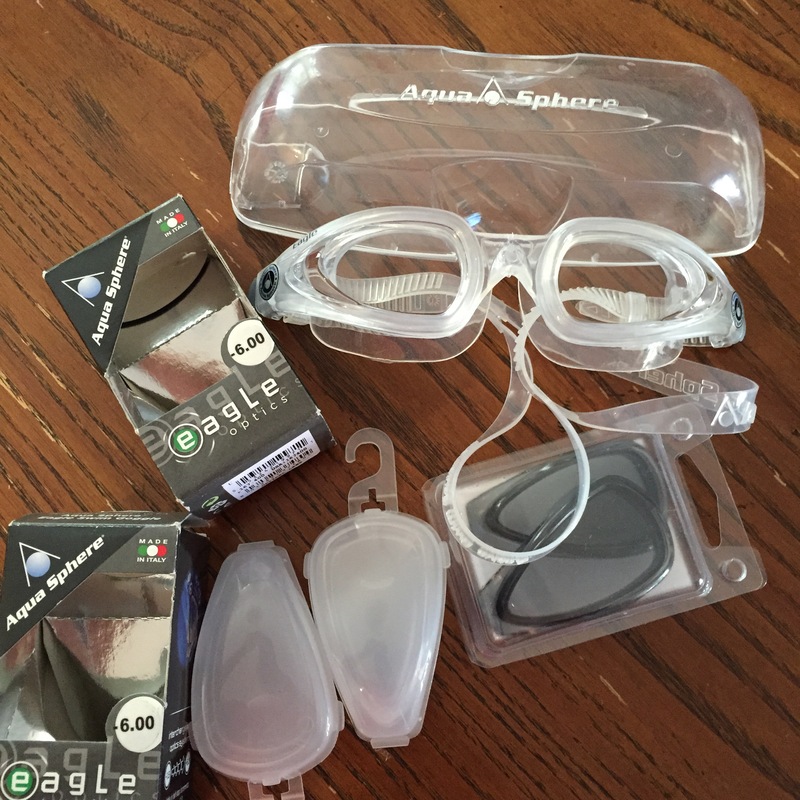 I love my AquaSphere goggles! I wore the AquaSphere Vistas last year. The wide mask helped with the visibilty. Recently, I moved to the AquaSphere Eagles. 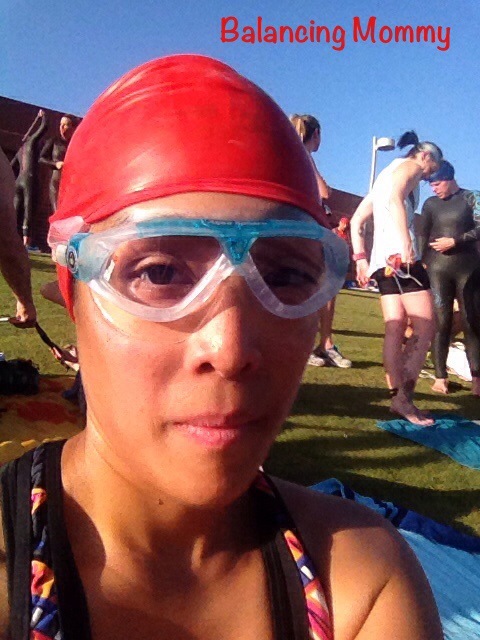 These goggles have been a life saver for me. I wear contacts and I’ve been plagued with bad allergies this year. The Eagles have interchangeable lenses, so I bought lenses close to my prescription. It’s been amazing not have to put contacts in my tired and itchy eyes. My favorite running skort (space contender two in one) and Swim Tankini (I wore last year during the Esprit de She super Sprint) came from Athleta. I’m sad to say that they both have been discontinued. I love Athleta’s return policy. If it doesn’t workout during your workout, they’ll take it back. It’s been great as I’m still seeking my new favorite Tankini top. I’ve run into a couple of tops that dip a little low after you get into the water. I was able to return them without any issues. I currently live in Athleta lifestyle skorts. They are cute and I’m comfortable at the playing at the playground and running errands. 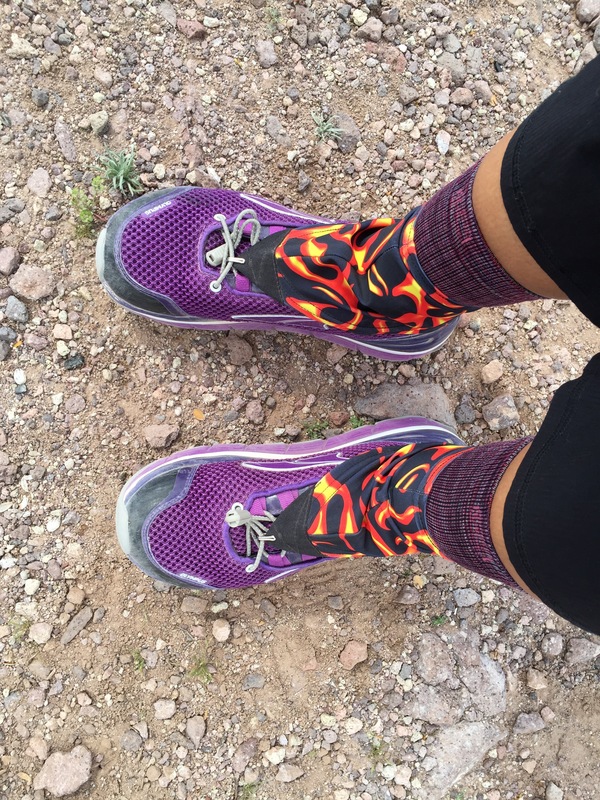 Last fall, I switched to Altras running shoes and I just can’t go back to other shoes! I first tried because I heard about the wider toe box. Prior to this, I had been a Brooks loyalist. I loved my adrenalines and Ravennas, but I had moved to the men’s shoe to give my feet a little more space. I started off with the Intuition 1.5 and now I’m in the Olympus. I love the room space in the forefoot and the Olympus is so soft and cushy. It’s perfect for long runs and hiking! 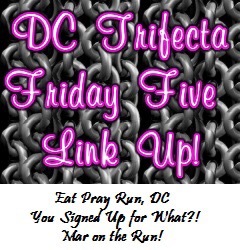 Don’t forget to check out the Friday Five Link Up! Posted in Link UpsBookmark the permalink.